This week I recommenced a regular walking practice. I call it a practice because I don’t just walk for exercise, I walk to see the world around me slowly on foot, and to invite inspiration for writing as well as for inner knowing and guidance on my life path. to be other than where you are. I wrote this poem on Day 15 of my Via Francigena pilgrimage while I was walking from Laon to Corbeny in France. While it was only a 27 kilometre walking day, I felt like I would never make it to Corbeny and that I would be walking forever. To distract myself, I decided that I would write as I walked. I asked for inspiration, opened up a writing app on my Ipad called Textilus and this poem streamed out. With it came a deep peace and acceptance of where I was on my journey and trust that I would arrive when I arrived as I had done for the 14 days I had been walking. For me, this simple realisation (and re-realisation) of living in the inbetween still brings me much peace and acceptance in my life now. I am inbetween leaving a career and starting a new one but I am filled with peace and faith that I am being guided and supported by life no matter how slowly things seem to unfold. I hope that this realisation serves you in your life too. And if you are contemplating a journey such as Via Francigena, I hope you will trust the whispers of your heart urging you to go. The calling is sacred. The insights that are waiting to be revealed to you may continue to serve you for the rest of your life too. Don’t worry. I’m not in any real danger. I’m just sitting at my writing desk with my iPhone in my hand and my thumb hovering over the share button of a Facebook post. 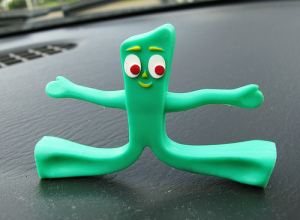 I’m on the verge of putting my first holistic counseling service offer into the world and it feels like I’m about to step off the edge of a cliff and go splat in a way that not even the ever flexible Gumby could recover from. I don’t have to do this, I know. Nobody’s making me do it. I could delete the draft post, put the phone down and just walk away, or I could use the classic deferral tactic and tell myself I’ll do it next week or another day and that day will come and I can just defer it again. To take risks even if I might fail. To offer what I have to give even if there is no one out there to receive what I have to offer. To support other sensitive souls through their doubts and fear so that they can step towards their dreams and callings and give their gifts that the world so desperately needs. My mind protests loudly. It digs its heels firmly into the ground. “You’re not going any further. You’re safe here where you are,” it asserts. Yes, this is what playing it safe can look like on the inside. Try the posture on yourself. It doesn’t feel very good. Our protective parts will do anything to keep us safe. They make up a lot of stories, often of the type that don’t have a happy ending. They tend to overlook the potential for success, freedom, and joy. They can speak very powerfully with authority but they actually don’t know what the future holds. Nobody does. The only way to find out is to go there. Whenever we take a risk, fear can arise. It’s a normal response especially when we think of risk in terms of danger or uncertainty instead of opportunity or even thrill. Fear can be heightened for those who are highly sensitive like me. I don’t believe there is a standard approach to facing and crossing these edges in our lives. We must determine our individual response each time we face an edge that is unique to our life and who we are. Sometimes the response that feels right is to feel the fear and leap. Sometimes, we must stand at the edge for a while dreaming into what lies on the other side. Sometimes we must walk up to the edge then walk away many times before we are ready to take that step. This time I stood at the edge with fear rushing towards me. I slowly leaned towards the edge of my known and unknown worlds, millimetre by millimetre. As I did, I came into closer contact with the fear. I held my ground and just felt the sensations that were in and around my body as they grew and grew until I realised it wasn’t actually fear I was feeling. It was my very life force rushing through me. All of my cells pulsed with aliveness, not fear. It’s an aliveness I feel now in my body as I write about that experience and further embody it. It’s an incredibly strong power and vibrant light. Fuelled by my aliveness not fear, I pressed share on that post and published it on Facebook. And guess what? I didn’t splat onto the ground. I didn’t get the outcome I hoped for but nothing bad happened at all. Instead something very unexpected happened. I came into direct contact with my own life force and power. The way to liberate yourself from fear is not to turn away from it, not to bypass it, not to step over or around it but to allow it to be there and consciously build your own relationship with it. Slow down here. Don’t rush. This is hallowed ground. Be curious about about your fear and the sensations in your body. Is it really fear you are feeling? Ask it questions and check how true the response is. Dialogue with it. Investigate your beliefs about taking a risk or achieving success. Feel your way through it into your own power. It’s right there waiting for you. Is there something you’re afraid of that’s holding you back? I’d love the opportunity to support you through it. Consider working with me 1:1. It’s time to start listening to that quiet voice of wisdom within. It’s time to cultivate the courage to acknowledge and follow your soul’s guidance and forge your own unique path. No more avoidance, ignoring, procrastinating or holding back. No more pretending that you haven’t been chosen for your soul’s mission. The fear won’t go away but as you build courage your ability to hold the tension in your body will grow so the fear will seem less. As you follow your heart’s callings, deep joy and aliveness will be your new companions. As you say yes to what’s true for you and no to what’s false, you will strengthen your inner compass and your connection to your soul. The world needs your soul’s medicine, your voice, your gifts, your courage, your ideas, your fully expressed essence, your truth in whatever form it takes to express you. Your soul needs you to come home and whole, to be fully you in this world. Stop comparing. Stop looking outside of yourself for where you fit in. You were never born for that. You belong because you were born. Stop trying to fit yourself in a box, that’s way too limiting. Take up space. Create your own new shape. Your life has lead you to this moment. Now is the time to say YES. Now is the time to start your real work in this world, untaming and becoming wildly yourself. If you find yourself saying YES as you read this, then I invited you to lean into that momentum and take action now. 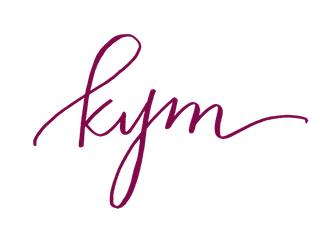 Sign up to my newsletter list as I am about to release a one time only special introductory offer to work with me 1:1 at a significant discount. Or if you can’t wait and are ready right now then get in touch ASAP. Days dawn, dusk descends then night falls. I stand still looking out at a life that looks the same.